When Trevecca Nazarene University senior Christian Keen and Kelsey Raymond, a junior, first heard about an undergraduate history research project set for the Fall 2016 semester, they signed up. For Raymond, the appeal of the faculty-led research experience (FLARE) project was more practical. She was trying to figure out what she wanted to do with her history degree in the future. One thing is certain: neither signed up for the project because of a profound interest in the topic. In fact, both admit knowing very little about Adelicia Acklen, the focus of the project. Led by Dr. Erica Hayden, assistant professor of history at Trevecca, the FLARE project is one of four planned for the 2016-2017 academic year. FLARE projects allow undergraduate students to experience research first-hand. First implemented in 2015, FLARE projects are part of Trevecca’s Quality Enhancement Program. A handful of projects receive University funding each academic year. Hayden’s project is centered on archival research, but also called for students to create a website, crafting online narratives that will present their findings in a creative way. Keen and Raymond were part a group of 10 students participating in the project. Hayden says she wrote the proposal as a way for her students to get “on-the-ground” experience in archival research and public history. Hayden chose Adelicia Acklen, a famous 19th century Nashville businesswoman and owner of Belmont Mansion, as the subject of the research project, in part because of Hayden’s connections with the staff at Belmont Mansion. Hayden’s students worked in smaller teams, exploring four different themes, including Acklen’s business and real estate dealings, her philanthropic work, immigration patterns in Nashville during the 19th century and the development of personal and commercial travel. 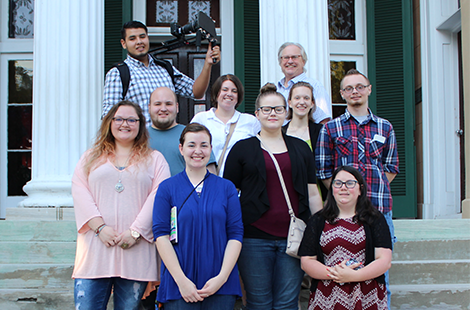 Antonio Guerrero, a fifth-year senior who stayed at Trevecca for an extra year to finish a double major in communications, is combining his love of history with filmmaking to create a documentary detailing the project as a whole. 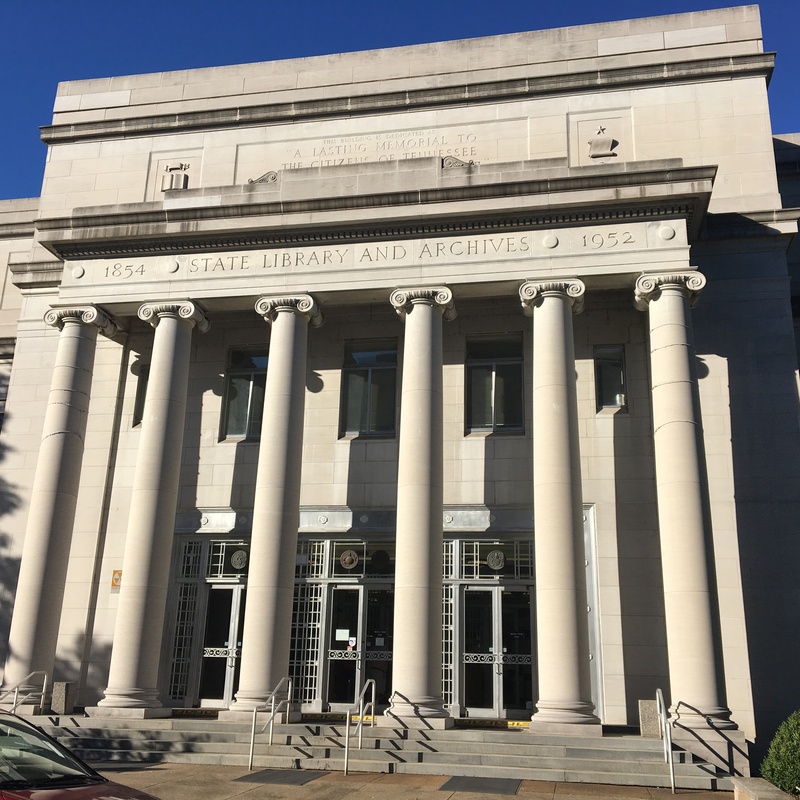 He’s accompanied his fellow researchers on multiple trips to the Tennessee State Archives and various libraries, all the while documenting the process of sifting through primary sources—like Acklen’s personal letters—as well as digging into census records and immigration trends. For Hayden, this was all part of the plan. The groups researched are currently working to draft their findings into narratives for their digital exhibits. While the teams are beginning to work on their websites, Guerrero has started the tedious process of editing hours of footage into a documentary. For Keen and Raymond, who grew so attached to Acklen during their research that they commonly refer to her by her first name, letting go of the project has been a little more difficult than they anticipated. After months of research, visits to the archives and trips to parcels of land around Nashville once owned by Acklen, coming to the end of the semester feels a little like saying goodbye to an old friend. Maybe that’s why both Keen and Raymond plan to continue their research in the spring semester. Keen and Raymond, along with fellow FLARE researcher Laney Overton, have submitted an abstract to present their findings at the National Conference on Undergraduate Research (NCUR) in April 2017. They won’t know if their project has been chosen until late January 2017. Regardless, both Keen and Raymond say the project is one they’ll never forget. Keen credits the confidence in research skills she gained with helping her to get an internship at the Frist Center for Visual Arts, where she’ll help shape how academic material is presented to the public. Raymond says the semester-long project has influenced her plans for the future. She’s certain she’ll pursue further education in museum studies after she graduates in 2018. As for Hayden, she’s excited by the burgeoning passion for public history she sees developing in her students.